If anyone can put the notion of comedy and mosques together, Zarqa Nawaz surely can. 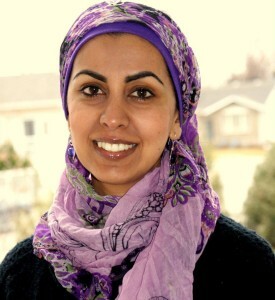 Zarqa’s new book Laughing All the Way to the Mosque, is a comedic memoir about growing up Muslim in North America. The book features hilarious anecdotes ranging from Muslim rituals of cleanliness, to 9/11, to being on mosque committees, to married life — all to name a few. Her initial intention had been to write a serious, informative book about Islam and what Islam was about, however, she was advised otherwise. Perhaps you have heard of Zarqa from Little Mosque on the Prairie, a comedic show about Muslims residing in the small town of Mercy, Saskatchewan. The show aired for 6 seasons with 91 episodes on CBC from 2007 to 2012. It is now shown in 60 countries around the world. Zarqa has been gifted with a knack for connecting her faith through comedy. Zarqa is a vibrant part of the mosque and Muslim community. Zarqa has been relentless when it comes to patriarchal trends in the Muslim community and produced the documentary, ‘Me and the Mosque’ for the National Film Board of Canada. Zarqa travelled to different mosques in North America to investigate women’s spaces. Her early recognition came from two short documentaries called ‘BBQ Muslims, Death Threat, Random Check and Fred’s Burqa. In terms of how Zarqa was inspired to write, she talks about attending a conference where Irshad Manji and Faisal Al-Rauf were also present. She witnessed Irshad yelling at Faisal AlRauf. “She started telling him he wasn’t progressive and started challenging him publically. She had written a book and because of that she was allowed to berate someone like that. Seeing that, I was forced to write a book about my life,” she says with a chuckle. Zarqa attributes the success of her book to the fact that not many funny books about Muslims exist. Most books on the shelf are about Islam or against Islam, however, nothing exists that would make your bones tickle. What’s her next project you may be asking? She is working on a novel about a Muslim author who writes a book and how she becomes jealous when her book doesn’t do as well as others. Obviously, it’s a comedy. As an active member of the Muslim community who has been working on building bridges, she certainly is able to do so with Laughing All the Way to the Mosque. Through her candid humour, she is able to demonstrate that we are all indeed similar regardless of our faith, race and background. Zarqa is currently involved in the Give 30 campaign to fight hunger across Canada. 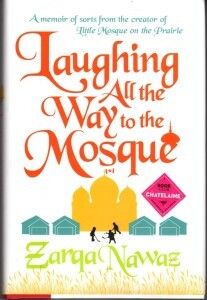 Laughing All the Way to the Mosque is nominated for the Kobo ‘Best Emerging Write’ award. It’s also been short-listed for Steven Leacock Medal for Humour, short-listed for Saskatchewan Book Award of the Year. 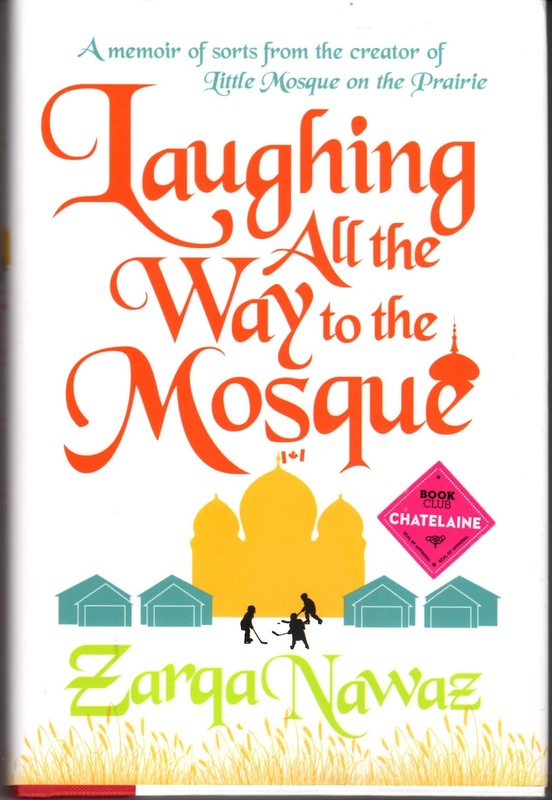 Laughing All the Way to the Mosque was Chatelaines Book Club Pick and Canadian Living’s Book of the Summer. 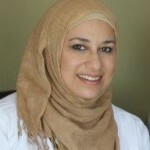 Zarqa is married to an active member of the community and has four delightful children. She juggles her time writing, volunteering at the mosque, in work-related travelling, and with the family. Zeba Hashmi is a community activist, mother, and a student. Zeba is involved in various voluntary efforts. She has served on Boards and Committees in Regina, SK. Now in London, ON, she continues to participate in community efforts. Zeba is currently involved with the London Muslim Mosque, Islamic History Month Canada, Muslim Association of Canada, City of London Race & Diversity Advisory Committee, & the Canadian Mental Health Association.